RING - SARAH COVENTRY. "EBB TIDE" FROM 1971. 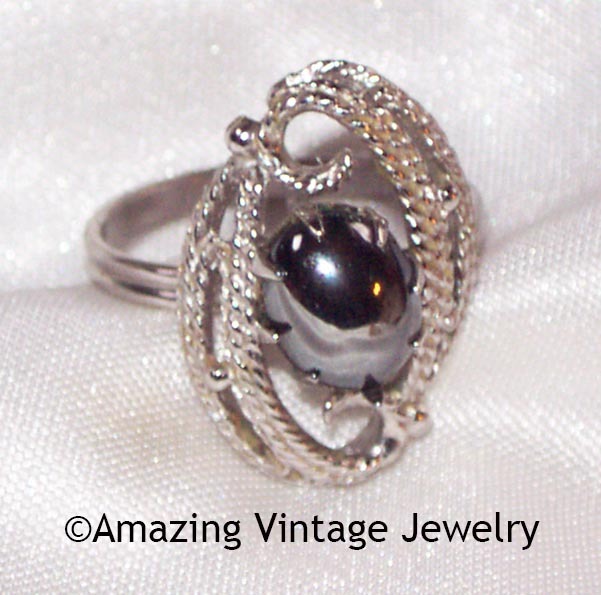 HEAVILY TEXTURED SILVERTONE SETTING WITH OVAL HEMATITE CENTER THAT GLEAMS IN THE LIGHT. ADJUSTABLE. RING TOP IS 1" LONG, 11/16" ACROSS. VERY GOOD CONDITION.